320 GB HDD. The laptop works well. It has a couple of scratches on the case. Headphone/microphone combo jack. 14" Widescreen (1366x768) HD. This aqua blue laptop from HP is built to be beautifully thin and light. Type: Laptop. Headphone Jack: Yes. This item is refurbished to a C1 grade standard. It will have very noticeable moderate to heavy scratches, scuffs, marks or dents. D. 4GB DDR3 RAM and 64GB eMMC ROM, TF Card Support up to 128 GB : large RAM keep the laptop working smoothly,which is equipped with huge storage capacity that you can download whatever you like from network and save them. 128 GB M.2 SSD, 4 GB DDR4 RAM. Designed to run more efficiently and more reliably at faster speeds, DDR4 is the future of RAM. 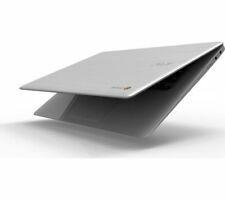 Thin, sleek and more stylish – this eye-catching laptop is easy to take anywhere. 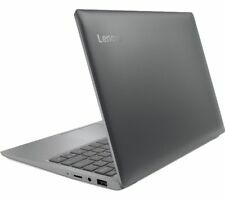 New listingDell Latitude E7470, i5-6300U (6th Gen), 8GB RAM, 256GB SSD. 14 Inch HD. Dell Latitude E7470 In Good Used Condition. 256GB SSD. Lovely Machine With Excellent 6th Gen i5 Processor. 14' HD Anti-Glare Display. (1366 x 768). HD Webcam. Type: Notebook/LaptopBrand: DellProcessor: Intel Core i5 6th Gen.
HP EliteBook 8470p Depend on a business-rugged, professional design The HP EliteBook 8470p and 8570p notebooks blend modern design and precision engineering. These durable notebooks pass rigorous MIL-STD 810G testing for vibration, dust, altitude, temperature, and drops.Plus, the additional HP Total Test Process means more than 115,000 hours of comprehensive testing per platform. All of this testing helps ensure that HP EliteBook p-series notebooks can stand up to rigorous work environments and the challenges of everyday business travel, resulting in less downtime and a lower cost of ownership. Protect your data, device, and identity Notebooks can be lost or stolen, and protecting business data and personal information is critical. An independent benchmark of 329 private and public-sector U.S.
HP Notebook - 14-ac104no (ENERGY STAR) 14 inch laptop, Good Cond Excellent buy!! HP Notebook - 14-ac104no (ENERGY STAR). We will provide you very good quality stickers for keyboard, if you would like to change. DTS Studio Sound™ with 2 speakers. Product number. 45 W AC power adapter. 750GB (upgraded from original 320GB). However, this does not affect the working of the laptop. This is due to it being an older laptop and Windows 10 not 100% supporting this model. Windows 10. These are quite rare now and is a fantastic looking laptop with it's colouring. 32GB eMMC storage. Perfectly productive. Type: Laptop. Headphone Jack: Yes. Colour: Purple. This item is refurbished to a C1 grade standard. It will have very noticeable moderate to heavy scratches, scuffs, marks or dents. ASUS X453M 14". 1x Asus X453M. As part of the sale you"ll receive. SSD Capacity 32GB. Storage Type SSD (Solid State Drive). RAM Size 32 GB. Release Year 2018. Hard Drive Capacity 32 GB. Processor Speed 1.60 GHz. Screen Size 14 in. Length 30 cm. Condition is Used. All aluminum alloy housing. Need we say more?. Good looks don’t have to be fragile. The built-in webcam supports High Dynamic Range (HDR) imagining, which will make your Google Hangouts more dynamic, especially for the people that you’re talking to. Model EZbook 2. D. 4GB DDR3 RAM and 64GB eMMC ROM, TF Card Support up to 128 GB : large RAM keep the laptop working smoothly,which is equipped with huge storage capacity that you can download whatever you like from network and save them. Touchbar, keyboard and screen are in good condition. Few wear marks here and there around the edges as expected of a device it’s age. Laptop is in working condition although it was getting slow as I got a new laptop and didn’t update it etc. SSD Size: 32GB. Battery life: Up to 11 hours 30 minutes. Screen Size: 14 in. Refurbished item. Tested and fully working. Item will be in excellent as new condition. However we do back these up with a 1 year warranty! i3-8130U 2.20GHz 8GB DDR4 INTEL UHD 620 GRAPHICS 128GB SSD WiFi and Bluetooth built in Windows 10 I mainly used this for football manager, however have since got a switch and prefer the football manager touch so no need for this. It's can be used as a laptop or a tablet with a touchscreen. In great condition no marks on the screen, few scuffs on the bottom where it's been sat on my table etc. Great battery life, comes boxed with the charger. Processor: Intel Core i3 1st Gen. Laptop - 256 GB SSD, Grey - Currys. Condition is New. The ASUS VivoBook F407MA fits the bill. processor, which is perfect for browsing online, finishing off an essay and streaming films. Weighing just 1.5 kg, the F407MA is thin and light enough to carry anywhere. Its sophisticated front cover with textile pattern not only looks attractive but provides a nice feel while the thin and lightweight body make this notebook easy to take anywhere. All the essential ports are easily available and designed to keep cables out of the way. 32GB Solid State Drive eMMC. RAM: 2GB SDRAM DDR3. RAM: 2GB SDRAM DDR3. Ending 22 Apr at 3:17PM BST2d 3hProcessor: Intel Core i5 7th Gen.
Connect your notebook to the TV via its HDMI port and view your movies on the big screen. Light Weight and Thin: Only 10mm thickness. Light and easy to carry around as a mini laptop. Only 1.3kg weight. Brand: HPProcessor: Intel Core i5 3rd Gen. The laptop is in good condition with just minor scratches due to age. dell laptop Inspiron 5448 (upgraded ). Upgraded to 8GB ram and 500GB high speed SSD i5-5200u and AMD r7 m260 gpu Condition is Used. Dispatched with Royal Mail 2nd Class Letter. 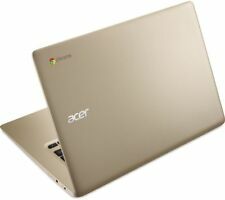 Type: Notebook/LaptopBrand: DellProcessor: Intel Core i5 5th Gen.
Acer SF114-31 14". 1x Acer SF114-31. As part of the sale you"ll receive. 256GB SSD (Solid State Drive). Create presentations, stream live TV and edit videos - you'll get consistently smooth performance. Model:HP 14-ck0517sa. Should you find yourself running out of storage, the SD and microSD slots make it easy to move files and photos off your laptop to free up space without the need for any cables. 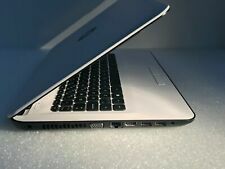 Ending Sunday at 7:05PM BST1d 7hType: Notebook/LaptopBrand: HPProcessor: Intel Core i5 7th Gen.
Used Acer Aspire One Cloudbook 14 Inch Laptop Windows 10 2GB RAM 32GB eMMC Mineral grey Machine as been newly refurbished by original seller, it is surplus to my requirements. Ssome marks to the exterior Comes with 90 days BullGuard internet security.